How often has it been stated and reiterated that 1969 was a seminal year for film making in India as it signalled the emergence of New Indian Cinema. 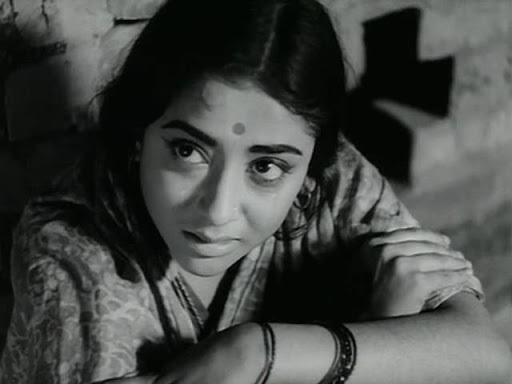 Whilst Mani Kaul and Mrinal Sen more or less remained resolutely independent in both form and content throughout their later years the same cannot be said for Basu Chatterjee who debuted with Sara Akash in 1969. Kaul’s Uski Roti, Sen’s Bhuvan Shome and Chatterjee’s Sara Akash may have had a transparent and lucid neo realist agenda, much more significant was the signature of cinematographer K.K. Mahajan who shot all three films in an unorthodox style. Unlike his contemporaries Chatterjee was an auteur whose impact on other film makers was less discernible yet the influence of a film like Sara Akash can be seen in both Ray’s Pratidwandi and also Benegal’s Ankur. Samar, a young college graduate with worldly ambitions and Prabha, a sensitive and intelligent matriculate, become husband and wife through an arranged marriage. It transpires that neither of them are prepared for such an arduous new life and the family inevitably victimise the new bride and slowly gang up on her in the house, making life difficult. Samar’s refusal to accept the cruelty of traditions which he cannot reject makes him bitter towards his wife. His silence and refusal to even touch her or make eye contact becomes a great source of marital animosity and Prabha is treated like a pariah. Samar’s thoughts of imprisonment and escape are expressed through dream sequences which would go on to influence Pratidwandi. However, unlike Ray’s politicised representations of Bengali youth Chatterjee’s urban adolescent is waking up to the stark realities of cultural traditions. In many ways Chatterjee seemed to shift dramatically from such realist film making with some immediacy, thus Sara Akash really stands apart in his oeuvre when compared to the light comic touch he would bring to his films in the 1970s. Perhaps what makes Sara Akash unconventional as a film for Chatterjee is the rejection of song and dance. Such a rejection gives the text a greater artistic validity and imposes a sincerity that ties in with the manifesto of 1968 espousing realism. In many ways, the narrative mixes elements of the youth film with strong melodrama accents and the focus on family as a destructive guardian of tradition is a strong point of social criticism. The ending feels like a compromise though because Prabha who comes to the house still takes the abuse and reconciles with her husband Samar. Of course Chatterjee deals with another reality here – that it would be impossible for her to simply leave Samar as this would mean disgrace for her, so in a way she is forced to stay merely out of a dependency on tradition. I’m not so sure if Prabha should have been so unforgiving considering the vindictiveness of Samar’s rejection. For me, it is a problematic ending full of compromise. Sara Akash is not a particularly strong film nor is it a seminal one but what makes it alive and fresh today is K.K. Mahajan’s extraordinary eye. His cinematography gives the film a special look and at the time some of the bold, audacious camerawork was visually indicative of Indian cinema’s capacity to show signs of radical iconoclastic authorial expression. K.K. 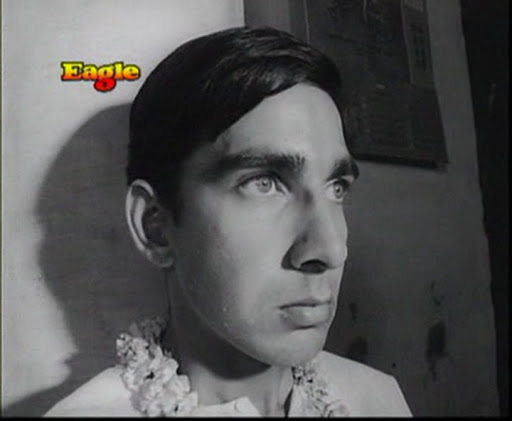 was central to the development of a realist, creative aesthetic in the late 60s and his work with Mrinal Sen in particular is simply brilliant. Like Pratidwandi, Padatik and other films during the New Indian Cinema phase, Sara Akash is a film about youthful ambitions and dreams that collide with the regressive traditions of Old India, leaving us with a painful resolution in which both parties are imprisoned for their cultural subservience. This entry was posted on May 25, 2011 by Omar Ahmed in Auteur, basu chatterjee, K.K. Mahajan, Melodrama, Neo realism, New Indian Cinema, Parallel Cinema, Social Realism.